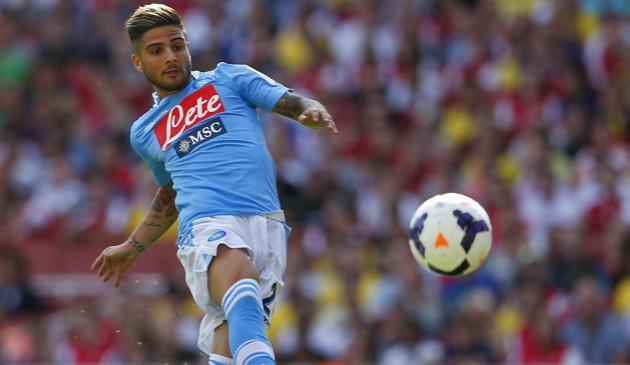 Lorenzo Insigne scored twice at the Stadio Olimpico on Saturday to help Napoli claim a 5th Coppa Italia title with a 3-1 defeat of Fiorentina. Insigne opened the scoring 11 minutes in by capping a counterattack with a curling effort that rattled the post on its way into the back of the net. He made it two shortly after by getting on the end of Gonzalo Higuain’s square pass and firing home from inside the penalty area, but Juan Vargas pulled one back for Fiorentina in the 28th minute with a superb left-footed volley. Fiorentina nearly leveled the score late in the match when Josip Ilicic got through on goal, but the Slovenia international curled his effort just wide of the goal. Dries Mertens then wrapped up the affair in the second minute of stoppage time, taking a through ball and slotting a shot just inside the far post to seal Benitez’s first trophy as Napoli manager.